Let Your Career BLOOM with Us! then we have a variety of full and part-time seasonal positions available. Applications can be found on the BloomsGardenCenter.com website. Please submit your application as soon as possible – either to bloomsmktg@gmail.com or 1440 Blairs Ferry Road, Marion, IA 52302. You can also drop off your application. PROMPT, CONSCIENTIOUS, and CARING SERVICE. They know we take the extra step to ensure Quality, Like-minded Results. From Small to Large Tasks ... We deliver the Best Value for Your Dollars Spent. Lawn Care - You'll get healthier, thicker, greener lawn from our Lawn Professionals. Landscape/Hardscape - We offer skid loader services for your finish grading needs. We design backyard escapes for your stay-cations, entertaining and aquascapes for relaxation. Tree Care - Get Professional Care and Maintenance Services from BladeWorks. 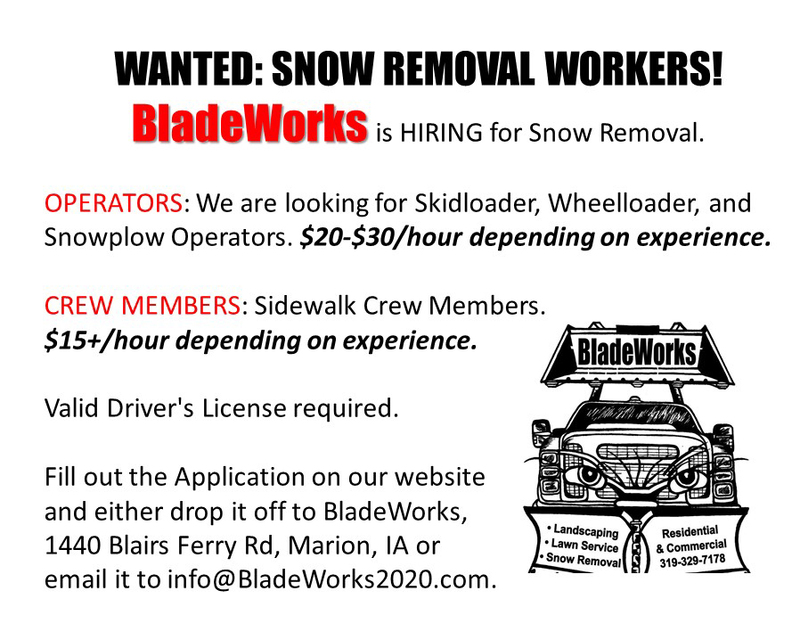 Snow Removal - BladeWorks provides snow removal and sanding services for commercial properties. Holiday Lighting - Allow us to help you light up the nights for the holiday season. 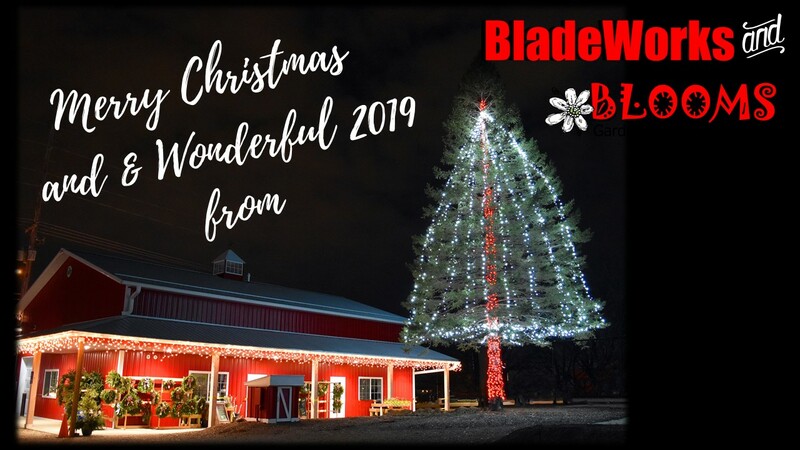 BladeWorks is Loving the Snow! Check out some shoveling suggestions for the next snow fall! Make sure you check out BLOOMS Garden Center • Nursery & Gift Shop for all your garden and home decor needs. BLOOMS has a unique offering of home & garden decor as well as excellent gifts for that special person in your life. If you need a Gift Card, please call 319-329-7178 and we will mail it out to you. BLOOMS is closed for the season - and will reopen in time for your indoor seed starting needs.